Ever since India began to be subjected to unremitting terrorism from Pakistan, mostly in direct collusion with the authorities in that country, there have been unmistakable signs on part of certain vested interests in India to hang on to some straw of ‘Hindu’ or ‘saffron terror’. The jihadi terror emanating from Pakistan, disconcerted these political vested interests not for reasons for the security concerns of the people and the country as such, but vote bank considerations. They nurtured the outrageous notion that the externally orchestrated ‘jihadi terror’ was polarizing the country on communal lines, which could severely impact on their brand of ‘secular politics’. Therefore, they embarked on a programme to ‘balance terror’ even if it meant fabricating a phenomenon called ‘Hindu Terror’. It is purely imaginary, just like as it was in the immediate aftermath of partition in Pakistan. It may be instructive to know that the Cabinet Secretary of Pakistan, Mohd Ali, when asked by a top Indian bureaucrat, BK Nehru, regarding the persistent use of abusive language against India and Hindus by the Pakistani newspaper Dawn (Muslim League’s mouthpiece), replied that though he knew that it was wrong, but such fabrications about an enemy was necessary for building Pakistan. When Nehru retorted by asking what would happen if India was also to conjure up the bogey of “Hinduism in danger”, Ali quickly announced that Hinduism was incapable of fanaticism. Dinanagar Terror Attack Attempt to revive militancy in Punjab? The terror attack in Dinanagar town of Gurdaspur in Punjab and the growing incidents of terrorism in J&K coupled with frequent appearance of flags of the notorious ISIS terrorist outfit are a signal loud and clear for the chief ministers Parkash Singh Badal and Mufti Sayeed, to shed the politics of appeasement of radicals in their respective states in a bid to thwart the ugly designs of Pakistan to revive full-scale terrorism in the two states. Reports of Pakistan making attempts to revive militancy in the two states with the help of terrorists of Punjab and J&K who were residing in Pakistan have been pouring in from time to time. Why there is an attack in Dinanagar? The foregoing eighteen months have witnessed three major jihadi attacks along the Pathankot-Jammu highway. This highway, NH1 (A), which serves as the lifeline of J&K runs parallel to the International Boundary (IB) with Pakistan. Most prominent places along this axis i.e. Kathua, Hiranagar, Sambha, RS Pura, have been subjected to terrorist attacks from Pakistan. With endemic attacks, the NH1 (A) is fast acquiring the infamy of ‘terror highway’. 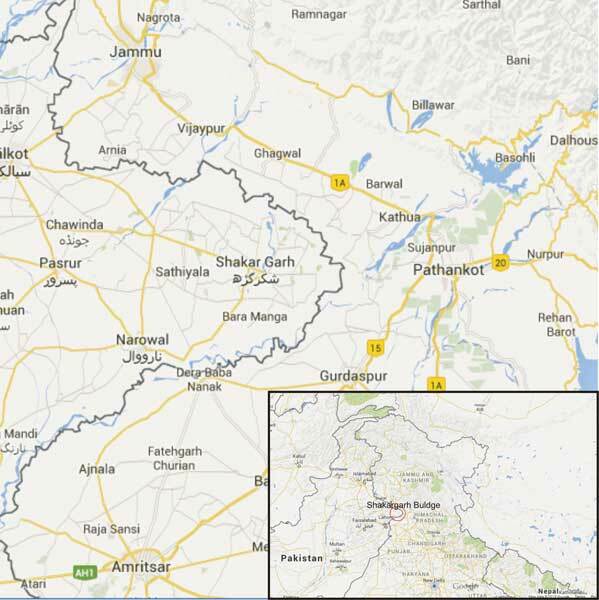 …this Pakistani enclave (‘Shakargarh Buldge’) jutting into India can serve as a launch pad for infiltration and terrorist attacks both on some LoC portions beyond Akhnoor and IB portion southwards. The latest attack in Dinanagar near Gurdaspur is being interpreted as revival of Khalistani terrorism in collusion with Pakistan sponsored jihadi terrorist organization like the LeT and the ISI. While this may be true to an extent, this angle should not be over-exaggerated. The geographical truism is that from Jammu to Amritsar the area should be treated as one strategic entity. This is engendered by the ‘Shakargarh Buldge’. This entire bulge which witnessed some intense battles during the 1965 & 1971 Indo-Pak wars is being used by Pakistan’s military-intelligence complex as a pivot for cross border operations by jihadis. This bulge dominates the entire NH1 (A) in both the Punjab and the J&K segments. Further, the bulge facilities selection of targets astride the highway by the jihadi terrors, as it is dotted with security forces, security establishments including cantonments. 'India's policy makers need to pull their heads out of the sand and recognize the reality that Pakistan has supported and sponsored terrorism on Indian soil for more than three decades; a national counter-terrorism strategy must be evolved in the fullest consciousness of this fact, and of the continued hostility of the Pakistani nation-State to the very idea of India,' says Ajai Sahni. 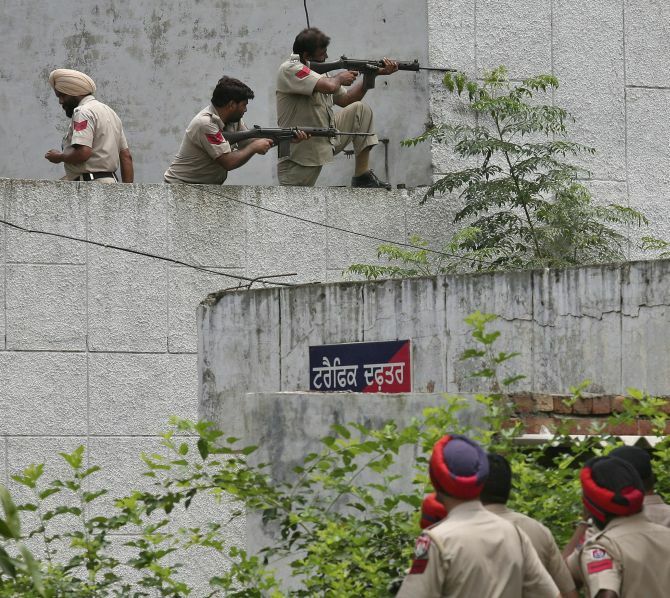 No conclusive identification of the terrorists involved in the protracted stand-off at the Dinanagar police station, Gurdaspur district, Punjab, has yet been made. Punjab Director General of Police Sumedh Saini has confirmed that three terrorists were involved in the operation, and all three were killed at the end of a 10-hour confrontation. Three Home Guards, Superintendent of Police Baljeet Singh, and three civilians were killed in the attack. 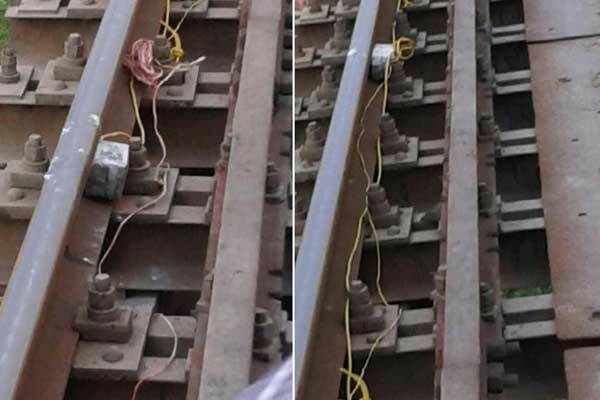 According to initial disclosures, the terrorists had GPS devices, were heavily armed and highly motivated, reinforcing initial suspicions that this was a fidayeen attack, most likely launched from Pakistan. Pakistan is poised to ensure key government documents and official speeches prioritize Urdu over English. The switch in Pakistan’s official language from English to Urdu, a popular language in the Indian subcontinent, has legal and cultural roots. The Pakistani Constitution, passed in 1973, includes a clause that specified the government must make Urdu the national language by 1988. More than two and a half decades after the deadline, Pakistan is finally ready to make the change. Ahsan Iqbal, Pakistan's Minister of Planning, National Reforms, and Development told Time, “Urdu will be a second medium of language and all official business will be bilingual.” The country will not abandon English, which will still be taught alongside Urdu in schools, he said. 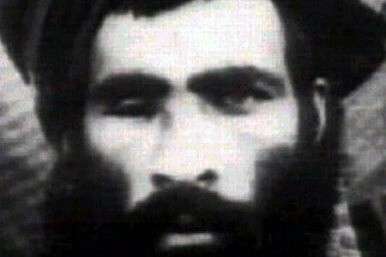 The newest round of rumors over Mullah Omar’s demise is spreading like wildfire. And if Omar really is dead, understanding Akhtar Mansour -- arguably the Taliban’s number two man -- is vital for the upcoming peace talks. Two days before the second official meeting between the Afghan government and the Taliban is scheduled to take place, fresh rumorsare swirling that Taliban leader, Mullah Mohammed Omar, has been dead for two years, killed either in an internal power struggle or from tuberculosis. Even before word of the reclusive leader’s unconfirmed death, speculation of his demise and questions about who actually controls the movement have persisted since shortly after his escape from Kandahar in late 2001 — no double fueled by the fact that he has appeared in public only a handful of times, even during his rule over Afghanistan in the 1990s. With talks (hopefully) less than 48 hours away, the question now more than ever is: Who leads the Taliban? Though the Taliban’s leadership structure is purposely oblique, Akhtar Mohammad Mansour has long been seen as the insurgency’s second-in-command. Setting aside whatever Omar’s current physical condition may be, Mansour has been making more day-to-day decisions and had more non-symbolic power than anyone else in the movement. He arguably has greater influence on the Taliban shadow government operating inside Afghanistan than any other Taliban leader. More importantly, he has maintained working relations with Pakistan’s Inter-Services Intelligence (ISI), something that separates him from the “Taliban Five,” the former Guantánamo Bay detainees released in a prisoner exchange and currently residing in Doha, Qatar. 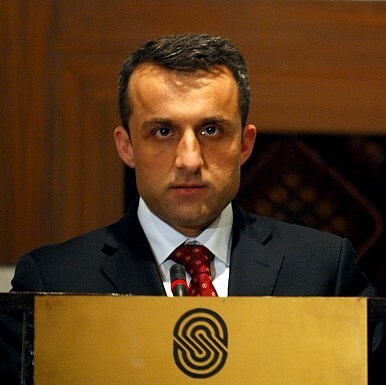 Amrullah Saleh, the former head of Afghanistan’s National Directorate of Security (NDS), the country’s intelligence agency, has years of experience in dealing with the Taliban. As a chief of the NDS for six years, he interacted with Taliban representatives regularly. Saleh says that Omar’s disappearance from the scene means nothing. It only reinforces the fact that the so-called supreme leader was actually a mythical figure who was being used by Pakistan to perpetuate violence in Afghanistan. To understand the ramifications of Omar’s death, The Diplomat’s Sanjay Kumar spoke to Saleh. The Diplomat: What is your reaction to reports confirming Mullah Omar’s death? Most U.S. media coverage has focused on ramifications for the Middle East: How will Iran’s nemeses Israel and Saudi Arabia respond? WillMideast sectarian tensions increase? Will the accord embolden Iran and cause it to intensify its dealings with the likes of Hezbollah, or will it lead Iran to moderate its destabilizing activities in the Middle East? Will the deal serve as a springboard for greater U.S.–Iran cooperation in combating the Islamic State terror group? And, above all, will the accord actually halt Iran’s march toward becoming a nuclear power? Khalistani terrorism in Punjab was defeated in 1993, and the state has experienced more than two decades of peace since. It's a measure of the utter rout of the Khalistanis that, when the attack occurred at Dinanagar in Gurdaspur on July 27, the immediate conclusion, subsequently borne out by preliminary findings, was that these could not be the Khalistanis but were likely Islamist terrorists linked to the insurgency in J&K. Several police and politicians in Punjab insisted that Khalistani terrorism can never stage a revival in Punjab. But, the adage goes, "never say never". Movements of violence are products of convergence of entirely unpredictable circumstances. As events in some of the most stable and prosperous societies of the world have demonstrated, there's no absolute guarantee against the possibility of terrorism. Vulnerabilities are much greater in weak states, lacking the instrumentali ties of modern security management and efficient civil administration, with large pools of public grievance, and complex histories of violent conflict. The Punjab Police has the experience and the intelligence penetration to scuttle any foreseeable attempts to revive terrorism. Nevertheless, such attempts are being made at regular intervals on the gamble that, at some stage, against a backdrop of political volatility, a dramatic terrorist strike could abruptly catalyze a sympathetic chain of events that would carry the state over the brink again. The United States cannot forget that its future prosperity is inextricably linked to Asia's peaceful adjustment to its growing wealth and power. Chairman Salmon, Ranking Member Sherman, Members of the Subcommittee, thank you for this opportunity to offer my views about how to strengthen U.S. alliance relationships with Japan and the Republic of Korea (ROK). U.S. government officials refer frequently to these alliances as “cornerstones” or “lynchpins” for America’s foreign and security policies in the Asia-Pacific, and these metaphors would become tiresome if they were not so apt for describing the value the alliances deliver to U.S. national interests. Indeed, as this Subcommittee well understands, these two countries are among our most important partners in trade and rule making, collaborate closely with us within leading multilateral institutions, host significant forward deployed U.S. forces and train with us at an elite level, and are frequently the first to support U.S.-led efforts to ameliorate international crises (to which they bring valuable technology, finance, and human capital assets). Last week, Japanese government officials announced that Prime Minister Shinzo Abe would visit five Central Asian countries in October. Abe’s trip aims to strengthen economic links with the energy-rich region. 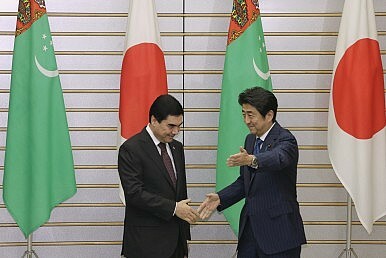 This announcement is the latest step in a trend that is seeing Japan pay more attention to Central Asia. Indicators of deepening ties between Japan and Central Asia have ranged from the declaration of the need for economic cooperation with Uzbekistan to increased investment in Turkmenistan’s natural gas industry and Caspian Sea port construction project. Japan’s expanded diplomatic overtures can be explained in two main ways. 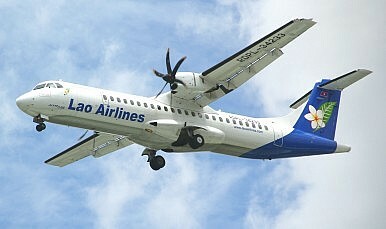 First, they could be seen as a means of balancing against China. If true, this would effectively be a form of unwitting indirect assistance to Russia, whose own traditional hegemony in Eurasia is being seriously challenged by China’s growing trade ties and economic presence in the region. Alternatively, Japan might simply prefer to see a little more diversity of interest in Central Asia, with itself, India, and the United States competing for influence with the dominant Russia-China rivalry. The Nikkei’s purchase of Britain’s Financial Timesmay be a sign of bigger things to come, with Asia set to remain at the center of global merger and acquisition (M&A) deals through 2018, analysts say. Japanese companies have already shelled out a record $28 billion worth of overseas acquisitions in 2015, including Japan Post’s $5 billion purchase of Australia’s Toll Holdings and Itochu’s similarly sized deal for a stake in China’s Citic. But this could be the tip of the iceberg according to research by law firm Baker & McKenzie and Oxford Economics, who have predicted global M&A will rise from $2.7 trillion this year to exceed $3.4 trillion by 2017, with much of it involving Asia. In recent weeks both Kazakhstan and Tajikistan have been subjected to damaging floods and mudslides–thought not because of rain. Instead, unusually high temperatures have led to increased glacial melt in Central Asia’s mountains. 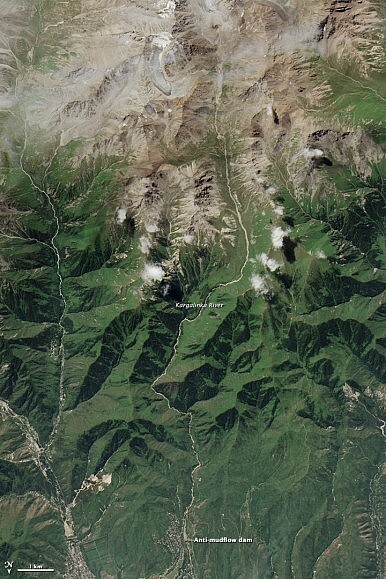 NASA’s satellite images show the growth of a melt pond south of Almaty and the widening of the river as mud and water rushed northward (the images have been inverted so that south is at the top and north the bottom). Toward the bottom of the images the dam holding back most of the water becomes more prominent as water backs up behind it. RFE/RL reports that the dam is now holding back 30,000 cubic meters of water and some fear it may break. For the United States, the South China Sea is an important area of the Asia-Pacific region for three reasons: 1) it is part of a major transit route for maritime commercial traffic to and from East Asia and for the United States Navy; 2) disputes over the ownership of its many small islands, reefs, atolls, and rocks among China and several nearby Southeast Asian states (including one United States ally, the Philippines) are generating tensions that could result in conflict and instability; and 3) Beijing could eventually use its growing influence in the area to create a sphere of influence detrimental to United States interests. These factors justify United States attention to events occurring in the South China Sea, and a set of policies designed to ensure access and transit, prevent or minimize tensions, and support the peaceful and legally based management of local disputes. Unfortunately, United States statements and actions at present are not effectively achieving such objectives, and growing tensions over the issue are threatening to severely destabilize the critical United States-China relationship in unnecessary ways. 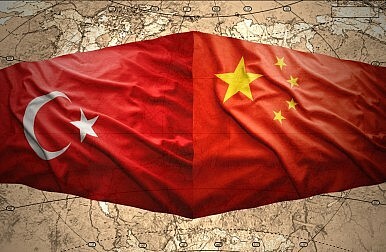 Can China-Turkey Relations Move On? Turkey’s president, Recep Tayyip Erdogan, arrived in China today and held meetings with Chinese officials, including Premier Li Keqiang and President Xi Jinping. It’s his first visit to China since assuming the presidency in August 2014, although he traveled to Beijing in 2012 while serving as prime minister. As I noted previously, the trip faced an unwelcome complication thanks to issues related to ethnic Uyghurs in China. Anti-China protests broke out in Turkey earlier this month over reports that Uyghur celebrations of Ramadan were being restricted by the Chinese authorities. For its part, Beijing is angry that Turkish diplomats in Southeast Asia have reportedly been providing travel documents to Chinese Uyghurs, allowing them to more easily travel to Turkey. China is wary of Uyghurs seeking to carve out an independent state from China, and increasingly concerned about Uyghurs becoming radicalized and joining international terrorist groups. In late-2013, Asia-Pacific security watchers wrangled with what China’s then newly declared unilateral air defense identification zone (ADIZ) over the East China Sea would mean in practice for civil aviation in the region. Two powerful status quo states – the United States and Japan – immediately refused to recognize the ADIZ and reacted accordingly: The United States flew unarmed bombers through the airspace and Japan instructed its civilian aviators not to comply with the new Chinese requirements. Of course, the ADIZ was never going to immediately hurt the material interests of Japanese and American aviation – for these states, the Chinese ADIZ was more a signal of Beijing’s growing intent to revise the status quo in its near seas than anything. The states that would suffer, as is almost always the case in international affairs, would be the smaller and weaker ones. The People’s Liberation Army Navy (PLAN) has transferred an unknown number of old frigates to the China Coast Guard, IHS Jane’s Defense Weekly reports. Photographs show two ‘Jiangwei I’ frigates alongside at a naval shipyard in Pudong, Shanghai, one of which has had most of its armament removed and the hull painted white. Limited work has been undertaken on the second so far. The pictures indicate that the ship has largely been disarmed with the YJ-83 anti-ship missile launchers, the HQ-61 surface-to-air missile (SAM) launcher, the twin 100 mm gun turret, and two twin 37 mm gun mountings removed. “The two forward twin 37 mm mountings are currently still in place,” however, according to IHS Jane’s Defense Weekly. The Chinese People’s Liberation Army Navy (PLAN) conducted naval drills that included live firing drills in order to boost its “maritime combat ability” in the South China Sea on Tuesday, Xinhua reports. Holding sea drills is a common practice for navies with various countries. The annual drill by the Chinese navy aims to test the troops’ real combat abilities, boost their maneuvrability, search and rescue power and the abilities to fulfill diversified military missions. Citing PLAN sources, Xinhua stated that the exercise involved over 100 ships, dozens of aircraft and several battalions of the Second Artillery Corps – the unit responsible for most of China’s conventional and nuclear ballistic missiles and land-attack cruise missiles. 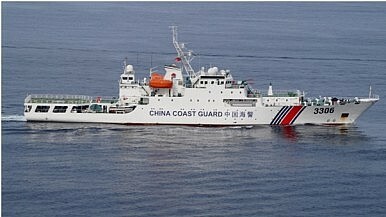 Additionally, navy sources told Xinhua of an unknown number of information warfare troops participating in the drills. “[A]ll sorts of information technology tactics” were used to identify air and sea targets in real time,Reuters reports, citing information from China Military Online. How is the Islamic State looking at the situation in Iraq and Syria? It is impossible to be sure, but they are fairly transparent in their public statements; this is a group that generally does what it says it is going to do: The following is an approximation of how I believe they view their situation based on some research for a book I am writing on the subject. Sadly, no jihadists were harmed in the writing of this piece. GENERAL SITUATION. The Caliph’s first strategic goal has been achieved. We have accomplished political and military control of most of the Sunni majority regions of Iraq and a large portion of northern Syria. The second objective of eclipsing the weak leadership of al Qaeda Central as the leading force in worldwide Jihad is also proceeding well. Jihadists in Nigeria, Yemen, Libya and Afghanistan have sworn fidelity to the Caliph. Those in Libya and Nigeria are holding political and military control of significant territory. The third strategic objective of diminishing American influence by dragging her into a winless conflict is succeeding well. Recent reports indicate that the American military leadership is frustrated with their President’s refusal to let them use all aspects of military power is creating a “go all in, or go home mentality”. This indicates demoralization, and their president publically admitted recently that they still lack a coherent strategy. The diminished American influence through war weariness envisioned by Sheikh Osama was diluted by his weak successors, but we are proving to be worthy inheritors of his vision. Turkey Joining Islamic State Offensive - So Why is it Targeting the Kurds? But the decision to get involved, after months of international pressure, has not been made entirely out of a sense of obligation. There is political manoeuvring, and a domestic agenda. Alongside the IS offensive, Turkey has also reportedly launched a crackdown on positions of the Kurdistan Workers' Party (PKK) who are now claiming the attacks bring about the end of a two-year ceasefire between the government and the Kurds. In a public report Wednesday, researchers at security company FireEye Inc (FEYE.O) said the group used the unusual tandem as a means of communicating with previously infected computers. FireEye has briefed law enforcement on what it found. The technique, uncovered during a FireEye investigation at an unnamed victim organization, shows how government-backed hackers can shift tactics on the fly after they are discovered. The machines were given an algorithm for checking a different Twitter account every day. If a human agent registered that account and tweeted a certain message, instructions for a series of actions by the computer would be activated. Russia is a superpower in decline, and the challenge it poses to the United States is very different from that posed by the Soviet Union. On July 13, 2015, the barracks of a unit of elite Russian airborne troops in Omsk, Siberia, collapsed, killing 23 servicemen. A day later, a long-range Tu-95 Bear bomber crashed in eastern Russia, the fifth Russian Air Force plane crash in a month. The entire Tu-95 fleet was grounded as a result. A few days earlier, though, two Bears were in the air, on a long-range patrol near the coast of Alaska, where they were intercepted by U.S. fighters. In Washington, U.S. President Barack Obama’s nominee to be the chairman of the Joint Chiefs of Staff, General Joe Dunford, called Russia “the greatest threat” to the United States at his July 9 confirmation hearing. In an interview the day before, Air Force Secretary Deborah Lee James made the same claim. The White House andState Department promptly distanced themselves from Dunford’s comments, but they failed to smother the impression that Dunford may be on to something. Russian aggression against Ukraine has revived the long-forgotten craft of marketing the Russian threat. Russia certainly is a problem, and the U.S. relationship with it is at its worst since before the Cold War ended. But a sober look at Russia reveals a superpower in decline. Its economy is stumbling; its military capabilities are no match for those of the United States and its allies; and its actions are in large measure driven by exaggerated threat perceptions and insecurity at home and abroad. The deal revolutionized U.S.-India ties, which progressed so dramatically that it is often easy to forget the recrimination that dominated bilateral encounters since 1974. Ten years ago this day, on 18 July 2005, the US and India moved boldly to cement their bilateral relationship. President George W. Bush and prime minister Manmohan Singh issued a historic joint statement renewing civil nuclear cooperation, eliminating the singular discord that had bedevilled mutual ties for over 30 years. 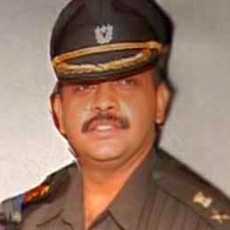 Although it often appears as if the 18 July 2005 initiative inaugurated this fresh start, in reality, it only capped a deeply transformative phase of bilateral cooperation that had begun earlier under prime minister Atal Bihari Vajpayee—and which reached its apotheosis during Bush’s first term. During this period, it was India that had seized the initiative to boldly support the US. By endorsing Bush’s plans for deep nuclear reductions and missile defence, offering Indian military facilities for the US campaign in Afghanistan, refusing to lead the international chorus of opposition to the US war in Iraq, and coming close to contributing even an Indian Army division for post-conflict stabilization in Iraq, Vajpayee demonstrated that New Delhi could behave as Washington’s “natural ally” because it served, first and foremost, India’s own deepest national interests. Is there a reason why U.S. policies worked with Cuba and Iran, but didn’t in Iraq or with Russia? Yes. And, as it turns out, it’s not that complicated. If you have been watching hopes for a benevolent “new world order” crash and burn over the past two decades, you might have concluded that the United States isn’t very good at foreign policy. Just consider where the United States was when the Cold War ended, and consider where it is today. In 1993, the Soviet Union was gone, and the United States faced no serious geopolitical rivals. (Can you say “unipolar moment”?) Saddam Hussein still ruled Iraq, but his military power was in tatters and his programs for weapons of mass destruction (WMD) were being dismantled. The Oslo Accords made Middle East peace seem tantalizingly close; al Qaeda was not yet a major force; and Iran possessed exactly zero nuclear centrifuges. A “third wave” of democratic expansion was underway, and sophisticated observers from Thomas Friedman to Francis Fukuyama thought humankind had no choice but to embrace market-based democracy, individual freedom, the rule of law, and other familiar liberal values. Has the U.S. Just Sold Out the Kurds? The most effective ground force against the Islamic State could become collateral damage under a U.S. deal with Turkey. Turkey sent fighter jets into northern Iraq last week to attack an adversary it sees as a grave threat to its national security. But the target was not the Islamic State. Instead, the Turkish warplanes pounded a Kurdish militia in Iraq that has fought Ankara for years in a bid for self-rule. Turkey also bombed Islamic State militants in Syria last week. Yet the strikesagainst the guerrilla Kurdistan Workers’ Party (PKK) in Iraq’s Qandil Mountains underscored Washington’s dilemma as it seeks to bring Turkey into the fight against the Islamic State despite Ankara’s long-running conflict with Kurdish separatists. The United States has been pushing Turkey for nearly a year to throw its full weight behind the war against the Islamic State and for months was denied permission to stage airstrikes out of Incirlik Air Base, near the border with Syria. But now, as a consequence of winning Turkey’s permission to use the base for airstrikes, Washington may be allowing Ankara to batter the only forces on the ground that have proved effective against the Islamic State. Why does the U.S. Navy struggle with strategy? Or does it? In January of 2014, former diplomat John Tkacik lamented to the Washington Free Beacon that “it’s America’s misfortune that it no longer has any real maritime strategists.” A few months later, Rep. Randy Forbes sent a letterto the chief of naval operations expressing his concern on the matter, saying “in short, I am concerned at the deficit in strategic thinking.” There were quick responses from navalists in online journals and blogs, some of whom contended that there are plenty of naval strategists around. Last week a group of security studies scholars from the Naval Postgraduate School released a report on the Navy’s strategy development process which clearly declares: “Today’s Navy suffers from a strategy deficit.” Peter Haynes’ new book, Toward a New Maritime Strategy, jumps directly into the middle of this debate with authority. The book offers a behind the scenes history of when, how, and why the Navy developed its strategic documents following the end of the Cold War. The result is a masterpiece of institutional history that exposes the Navy’s strategy community, process, and leadership to the light of day. It is a light that is not always flattering. The book begins with a general introduction and discussion of the Cold War and the Navy’s role in, and thinking about, a global conflict with the Soviets. Haynes, a Navy captain with a PhD in security studies, quickly guides the reader through the strategic documents and thinking produced through the 1960s, 70s, and 80s. Cold War naval thought culminated with “The Maritime Strategy” of the Reagan era. Yet as the threat of the Soviet navy began to evaporate from the world’s oceans, the U.S. Navy began to struggle with a description of its raison d’etre. Sensing a “darker threat environment,” America’s ally launches its first strategic review in half a decade. Great Britain, like its American ally, is reviewing the makeup of its military as it digs in for a long fight against the Islamic State and prepares to counter a resurgent Russia. The strategic defense and security review – the first since 2010 – is “refreshing our national risk assessment,” U.K. Procurement Minister Philip Dunne said Tuesday. The review will inform the U.K.’s national security strategy, the composition of the British military, and the equipment it purchases. Britain has already announced earlier this month that it would boost defense spending over the next five years, in part to counter Russia. One of the reasons is the forthcoming 6th Tibet Work Forum which will decide the direction Tibet takes during the next decade. The ‘opening’ of Tibet towards Central and South Asia will be probably one the main decisions taken during the Forum. What has the U.S. military finally realized about workforce diversity and mission success? Retired Gen. Ann Dunwoody spells it out. When the Evil Queen looks into the magic mirror and asks the fateful question, “Who’s the fairest of them all?” she really just wants confirmation of what she already believes. When the magic mirror tells her something she doesn’t want to hear, well, all hell breaks loose. In our daily lives I call this misguided need for affirmation and tuning out other perspectives the Mirror, Mirror Syndrome. Interest in diversity, especially in the military, is a relatively new focus area. It is too easy and convenient for folks to view it as the continuation of affirmative action and quotas for minorities and the disadvantaged. Policies established to promote equal opportunity and equal employment were often viewed as forced inclusiveness rather than recognizing that prejudices and biases existed and we needed policy in order to move forward. In 2011, Google began developing Project Loon, an experimental program to provide free internet access to people in remote rural areas, using high-altitude balloons floating in the stratosphere. After test runs in New Zealand, Brazil, and the US, Project Loon is finally ready to…balloon. In 2016, Google will deploy balloons all over Sri Lanka, filling in its coverage gaps and effectively blanketing the entire island nation with broadband internet. Harsha de Silva, Sri Lanka’s deputy minister of economic development,celebrated the news on Facebook. “Hopefully in a few months every person and every device on the island will be covered by 3G,” he said. Project Loon director Mike Cassidy traveled to Sri Lanka yesterday (July 28) to finalize the agreement with prime minister Ranil Wickremesinghe. According to Phys.org, all 13 helium-filled balloons should be ready by March. They’ll be placed in the stratosphere—roughly 12 miles (19 kilometers) up in the sky, scraping the edge of space. That’s about twice as high as the altitude at which most commercial planes fly. Earthlings can then connect to the floating balloon network directly from their phones. Each balloon covers up to 25 miles (40 km) in diameter on the ground. Unfortunately, the balloons can’t stay up there forever—Google plans to replace them every 100 days or so. In order to keep their operational costs down, local internet service providers will have access to them. Over at military.com, Kris Osborne reports that the assembly of the second America-class amphibious assault ship, USS Tripoli, is going according to plan, with a third of initial construction already complete. The ship “is approximately 30% complete. Fabrication has started on 211 units, 97% of all units, and 84 grand blocks are erected — 47% of the total,” according to a U.S. Navy spokesperson who provided Osborne with a written statement. 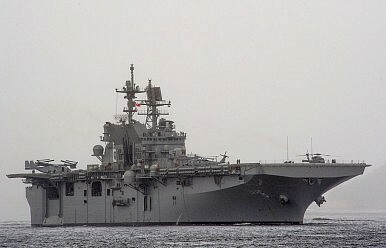 Scheduled for launch in in July 2017 and with a tentative induction date set for December 18, the ship is specifically designed to accommodate Marine Corps F-35B Joint Strike Fighters, along a host of other aircraft such as MV-22 Osprey tiltrotor aircraft, CH-53 Super Stallions, and UH-1Y Huey helicopters. Malaysia’s Home Ministry has suspended two newspapers for three months after the latter published a series of reports exposing corruption in a government-managed investment company that implicated Prime Minister Najib Razak. Meanwhile, a news website was blocked in the country last week after a government agency found it guilty of publishing unverified information in relation to the similar corruption issue. 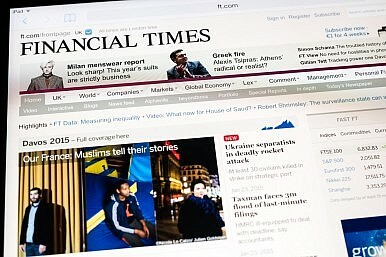 The licensing permit of The Edge Financial Daily and The Edge Weekly was suspended because their 1MDB reports were deemed by the Home Ministry to be “prejudicial or likely to be prejudicial to public order, security or likely to alarm public opinion or is likely to be prejudicial to public and national interest”. The 1MDB issue refers to the controversial financial transactions of the company that allegedly benefited some politicians, including the prime minister. 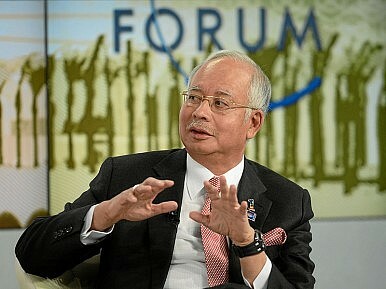 Early this month, the Wall Street Journal published a report linking Najib to a bank money transfer totaling $700 million. The government is currently investigating 1MDB as Najib denies the allegations. Some opposition leaders including former Prime Minister Mahathir Mohamad have called for the resignation of Najib over the 1MDB scandal.